The U.S. Chamber of Commerce Foundation recognized Amway and several other companies and organizations this month for their efforts to address community health. 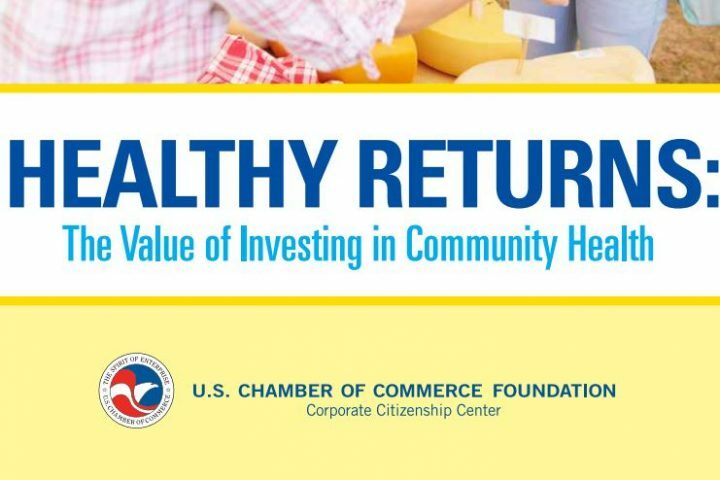 The Chamber’s Corporate Citizenship Center recently released “Healthy Returns: The Value of Investing in Community Health,” a collection of case studies exemplifying the newest and most advanced ways that organizations are tackling the issue. America’s economic competitiveness depends on improving the health of its citizens, according to the premise of the report. Poor health outcomes depress wages, reduce profits, divert money from investments in education and infrastructure and create a scenario that further accelerates poor health outcomes. Amway’s work to address the chronic issue of childhood malnutrition is showcased in chapter one of the report. The Nutrilite Power of 5 Campaign leverages Amway’s expertise in nutrition and science and the passion of our people to improve the nutrition and health outcomes of malnourished children around the world. Last year, Amway partnered with the Global Alliance for Improved Nutrition (GAIN) to create an interactive map that shows how malnutrition (in all its forms) is affecting people, communities and nations. The Malnutrition Mapping Project is the first of its kind to include such a broad range of geography and income.